Montreal-based startup providing more transparency about industrial emissions (and finding leaks too). 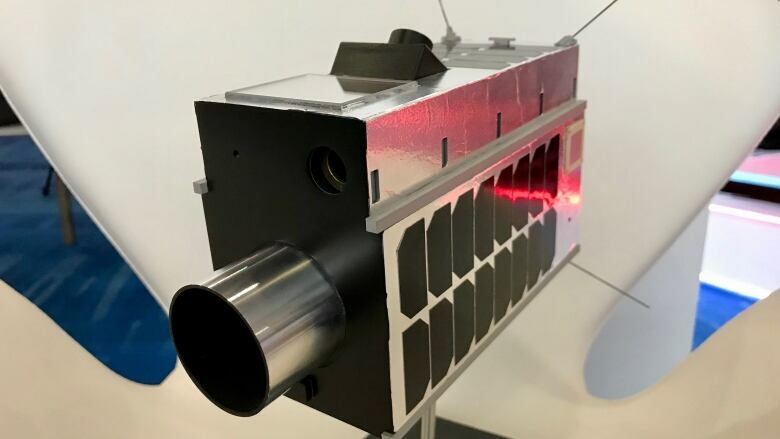 Creating a "fire hose of data" is what satellites do best, according to GHGSat executive director Stéphane Germain, "but frankly, what our customers really want to know is - where are my leaks?" Germain made the comment while on stage last week in Houston as he was invited to give a few presentations about the technology at CERAWeek, one of the world's largest energy conferences that attracts world leaders and top industry executives. "We generate a new type of data that has never existed before, which is to actually measure emissions at the facility level," he said. The satellites are about the size of a microwave oven and each cost a figure in the seven-digits. They can measure carbon dioxide and methane emissions, in addition to air quality. 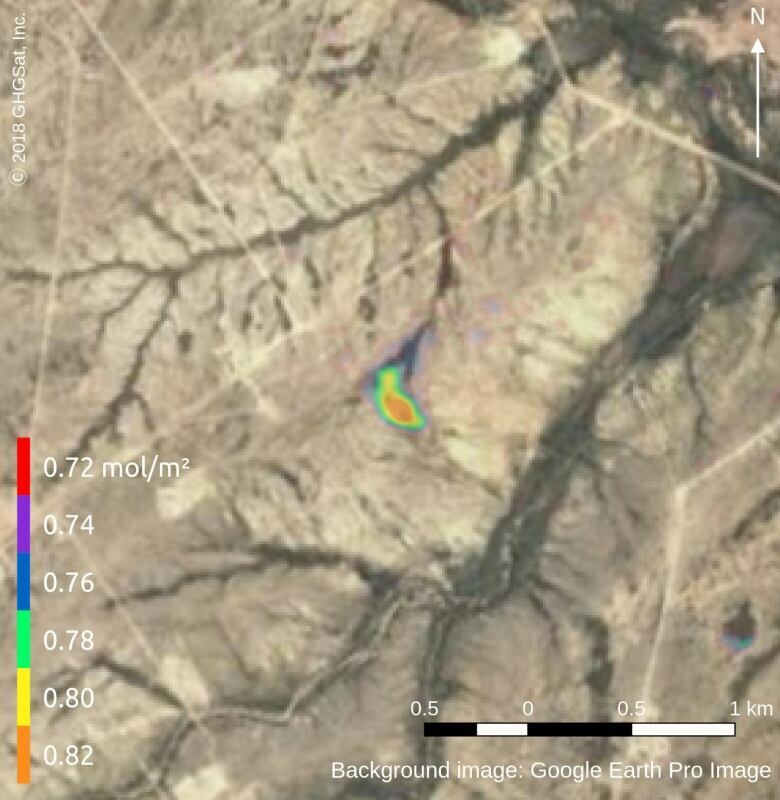 Methane is a focal point for the oil and gas industry since it is more potent than other emissions and more cost-effective to capture. The traditional method of measuring emissions in the oilsands has been described as having a degree of uncertainty of 50 per cent or more. Companies have used what's called a "flux chamber," a large hood that is either put inside of an oilsands mine or floated in the air above a tailings pond. The measurements are used to estimate the total emissions. "They're limited to when you collect them, which can be influenced by the weather sometimes or the temperature," said Kevin Birn, an oilsands anaylst with IHS by Markit. "It's a lot more precarious, which has been an issue for natural gas as well." Using satellite technology provides much more accurate data, he said. "Any effort to improve transparency gives us some more information to make better choices about how to build the resources we need for the future," said Birn. The flux chambers are only used to gather data once a year from a facility, while GHGSat collects data monthly. "We think it can be a lot more precise," said Germain, in an interview while in Houston. GHGSat launched with funding assistance from the Canadian Space Agency and now has 23 employees. GHGSat has raised over $20 million from sources such as OGCI Climate Investments, Schlumberger, Space Angels, and the Business Development Bank of Canada. The company has also received financing from the governments of Canada and Alberta. Suncor was one of the first oilsands companies to work with GHGSat, which now has several oilsands clients, according to the company. Admittedly, more fine tuning need to be done, Germain said. A third satellite is already under development as technology continues to improve. The company can track emissions for many industries such as power generation, agriculture, mining, and landfills, among others. "There's a trend globally to wanting to understand greenhouse gas emissions." Industrial operations are often cited as major contributors to climate change. "We're trying to bring data to that discussion," said Germain. "Use top-down measurements, actual measurements of sites to really understand what the real data is from each of these sites and bring those to the debate." Under Alberta's carbon tax policy, oilsands companies with the lowest emissions actually earn money from the program, while the least efficient facilities could pay several dollars per barrel of oil that are produced.